With everyone telling us that 3D is the next big thing, it is no wonder that 3D phones are now being produced. And Samsung, the manufacturer of the best selling Galaxy S range of phones are said to be planning a release of the Galaxy 3D in September. 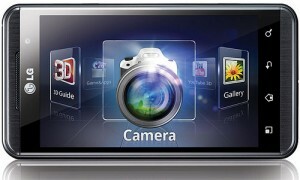 News comes from a Korean website called ETNews, saying that Samsung have a 3D capable phone running on Android 2.3. Other specs include a 1.2GHz dual core Exynos processor, a 4.3 3D LCD screen, dual 8 mega-pixel cameras. The phone will be able to record video in 3D and output 3D imagery to your TV set. There are already some next-gen 3D phones on the market that it will need to compete with, the HTC EVO 3D and the LG Optimus 3D. If it does launch by September, it will have to compete with the new iPhone 5 which is scheduled for release by then. As Samsung have released what many call the best phone ever in the Galaxy S 2, it will certainly be a phone to look out for.